When we don’t have the Holy Temple and the sins of the world grow, Zeir Anpin is in distance from Malchut, the Snake awakens and armies of angels of destruction rise in the world. Tzadikim are taken away from the world because judgment is in greater rise. Rabbi Shimon says: I testify on myself that all my days I was in sorrow, so that the world won’t fall into judgments and set on fire because of its own negativity. From now on (meaning that after the passing of Rabbi Shimon) the natural order of cause and effect will return and everyone will be ‘paid’ according to their actions. There will be small tzadikim around the world that will rise to protect the generation. 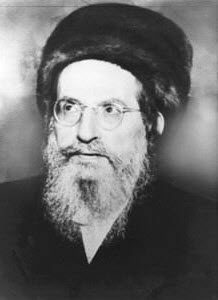 Rav Berg was a true righteous kabbalist. He promoted Zohar books and Zohar study around the world. Many righteous leaders passed away in recent years leaving us with the teachings of Rabbi Shimon that only the Zohar can help and support us, especially now when the fire of wars and conflicts is about to spread in the world. You can be a ‘small tzadik’, study the Zohar and save the world around you.